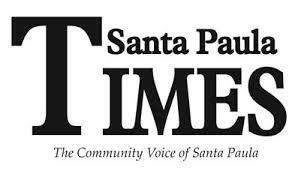 Santa Paula Latino Town Hall is Making a Difference! ﻿Saturday, July 18 - Several Santa Paula Latino Town Hall members attended this year's second annual El Reencuentro dinner in support of Future Leaders of America (FLA), an organization that SPLTH partners with regularly in order to bring programs to local Santa Paula youth. In fact, several SP-LTH members were instrumental in supporting the formation of FLA in 1982, which has grown to serve thousands of Ventura and Santa Barbara County students since its inception more than 30 years ago. 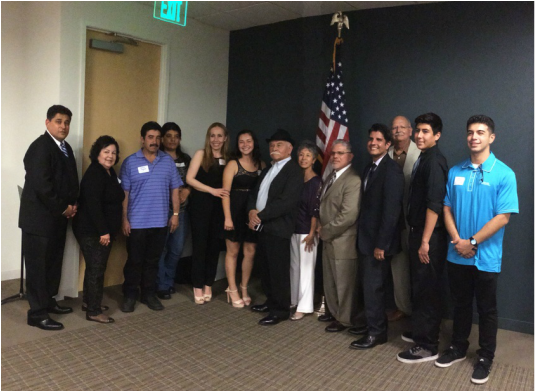 The dinner was also attended by FLA founder Gilberto Cuevas, a retired educator from Ventura County (wearing black hat in photo below). Student scholarships and alumni awards were presented at the dinner which featured Ruben Rosalez from the U.S. Department of Labor as its keynote speaker (wearing tan suit in photo below). 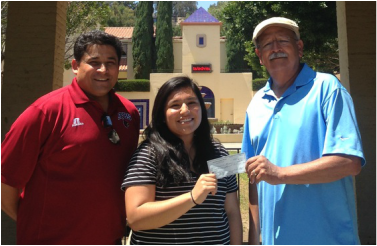 SP-LTH member Richard Castaniero, who is an educator at Santa Paula High School, and SP-LTH president Lorenzo Moraza present a check for $450 to Jessenia Montiel. ﻿SPHS student Jessenia Montiel was selected to attend the HOBY World Congress in Chicago this past July. HOBY's annual international youth leadership event, ﻿The World Leadership Congress (WLC), is a dynamic leadership program that brings together student "ambassadors" from the U.S. and abroad. This group of over 400 ambassadors comprised of U.S. high school students and international students from all four corners of the globe convene for a week-long, life-changing, educational and leadership skills building program. ﻿Santa Paula Latino Town Hall awarded four $500 scholarships this year to local high school graduates. 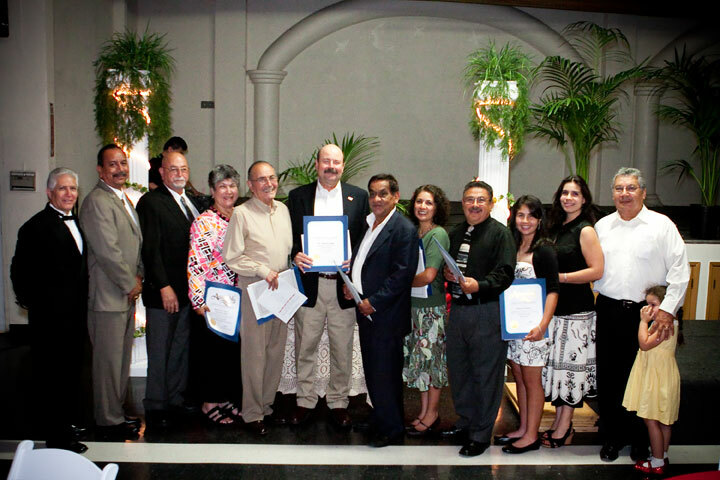 Santa Paula Latino Town Hall awarded four $1000 scholarships this year to local high school graduates. "There are no words to explain how appreciative I am of your support. I plan to pursue my goals at the California State University of Channel Islands starting in the fall. I will work very hard in order to achieve my dreams and hopefully become a clinical psychologist. Your financial assistance will provide me with great help in paying for educational expenses. Your generosity has inspired me to help others and give back to my community. I hope to one day help students achieve their goals just as you have helped me to achieve mine. 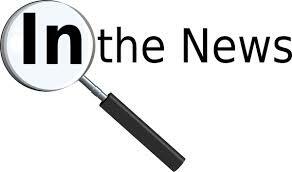 Your assistance has lifted my finical burden and will allow me to focus on the important aspects of school." ﻿"Getting the educator award at Santa Paula Latino Town Hall has touched my life in ways you may not even be aware of.This simple act of kindness has a beauty all its own." Click here to view all award recipients from previous years.